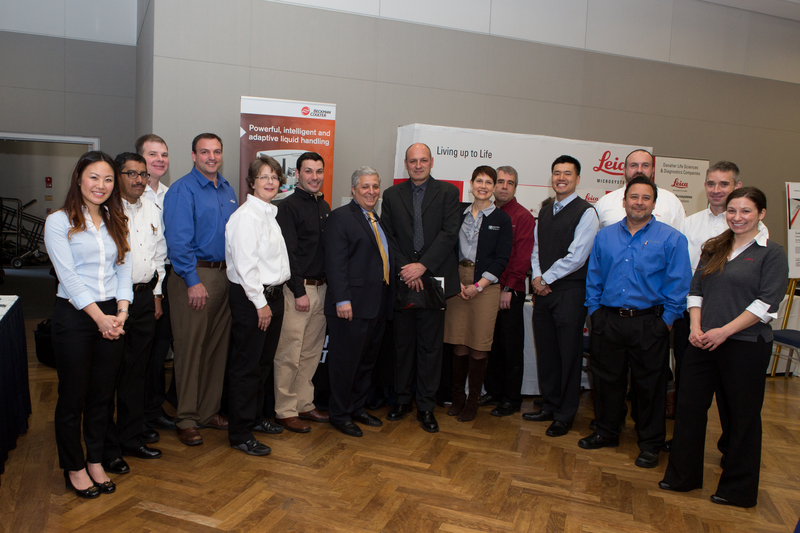 View and enjoy photos from our recent events . . . 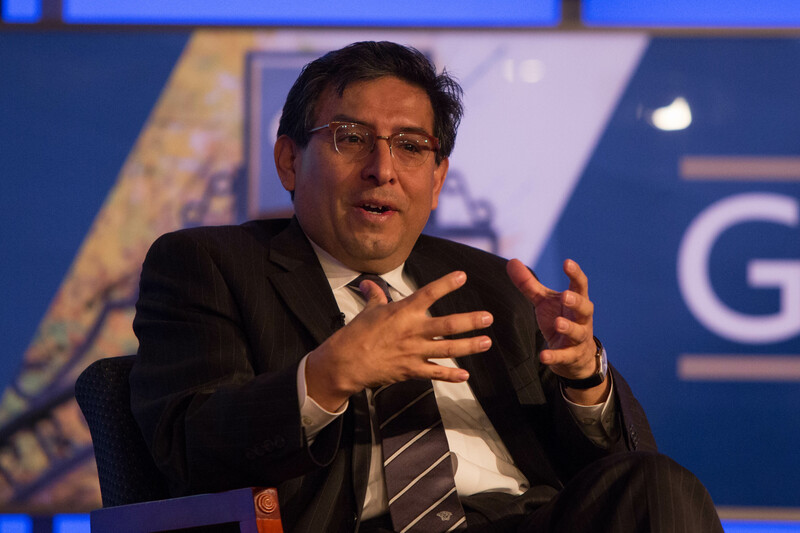 The federal government's Precision Medicine Initiative framed the panel discussion, “21st Century Research: At the Crossroads Between Clinical and Population Sciences," hosted by GW and ICF International at the Jack Morton Auditorium. 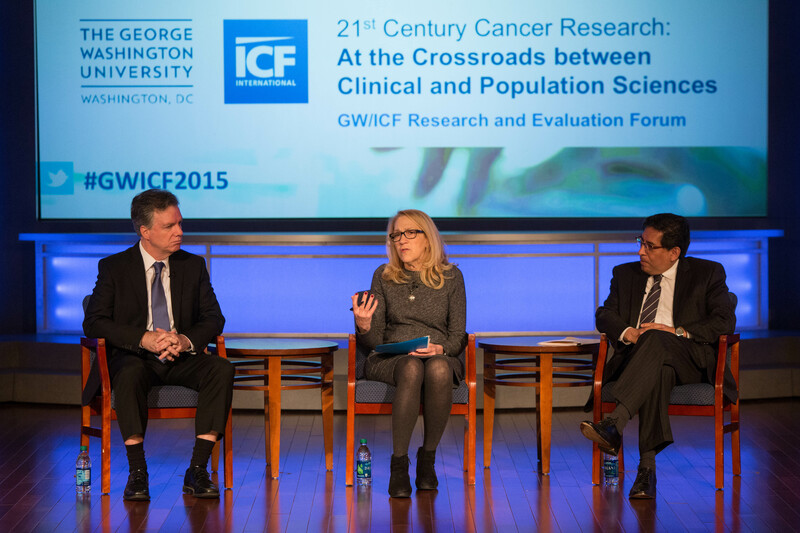 At the GW/ICF Research and Evaluation Forum on April 28, 2016, Dr. Linda Birnbaum, director of the National Institute of Environmental Health Sciences, discusses how genetic susceptibilities and environmental exposures impact children's health. 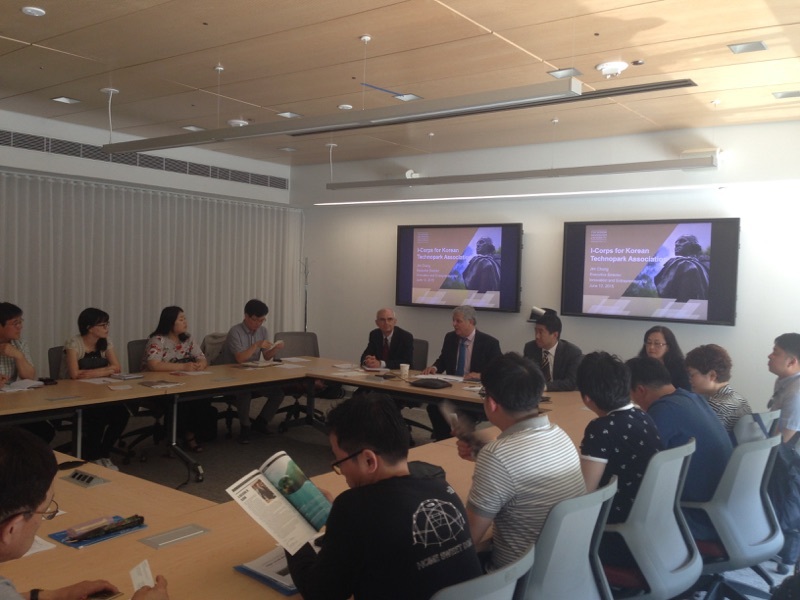 For more info on the forums, go to https://corporateresearch.gwu.edu/gwicf-research-evaluation-forum. 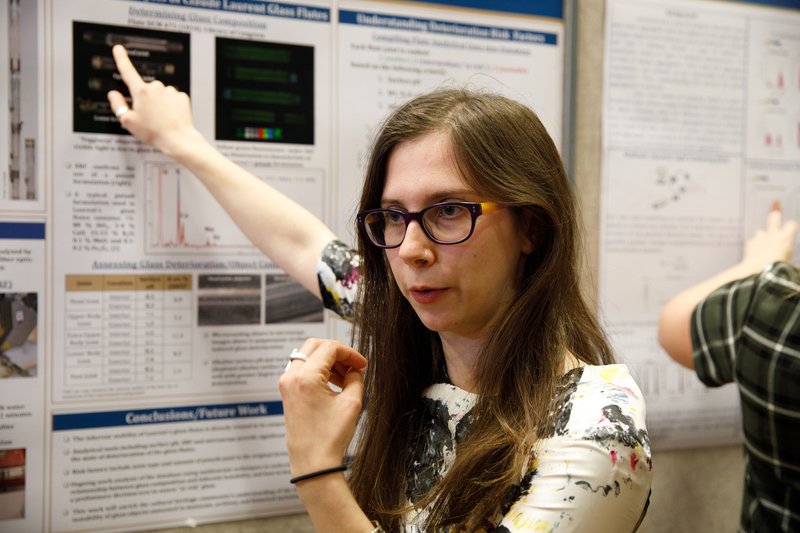 On Feb. 24, 2016, graduate student Angel Moreno and undergraduate student Jessica Hinke stand after receiving the OICR-sponsored Randolph A. Graves Innovation Award at the 10th annual SEAS Student R&D Showcase. 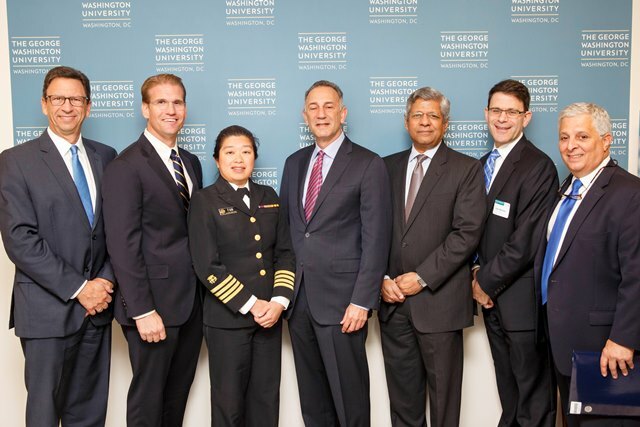 From left, GW Mentor-in-Residence Randolph A. Graves Jr., Moreno, Hinke, SEAS Dean David Dolling, and OICR AVP Tom Russo. 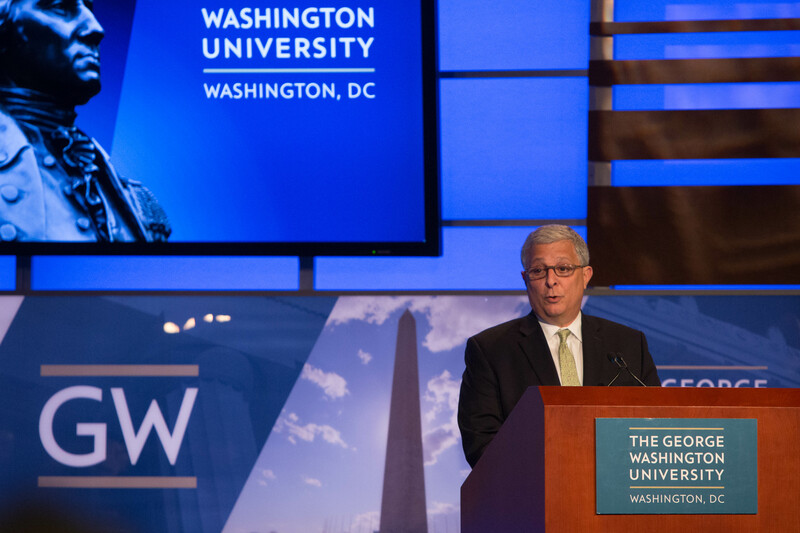 GW Office of Industry and Corporate Research AVP Tom Russo presents opening remarks for the panel discussion “21st Century Research: At the Crossroads Between Clinical and Population Sciences" hosted by GW and ICF International at the Jack Morton Auditorium. 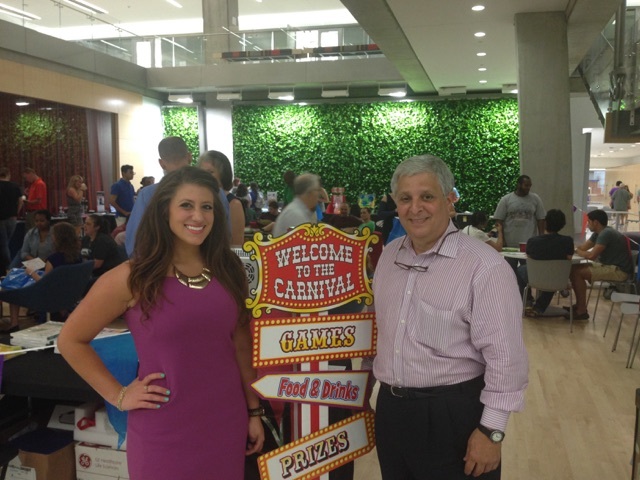 VWR Sales Rep Michelle Carlson and GW's Tom Russo enjoying a vendor fair at the Science and Engineering Hall where many researchers were able to meet and mingle with equipment suppliers and demo the latest technologies. 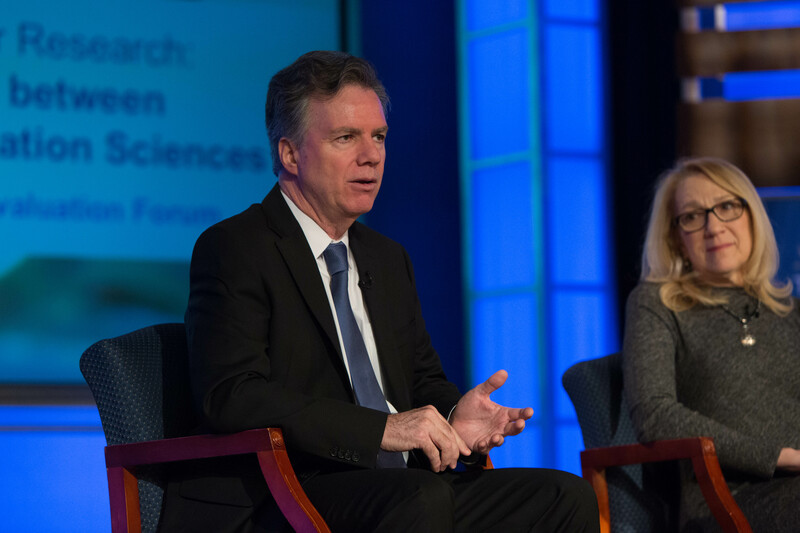 FEI's Vice President for Marketing John Williams participates in GW's Share Fair in April 2015, demonstrating the amazing ability of electron microscopes to capture images of objects at the micro-level. Many of the images were used in National Geographic's IMAX film "Mysteries of the Unseen World." 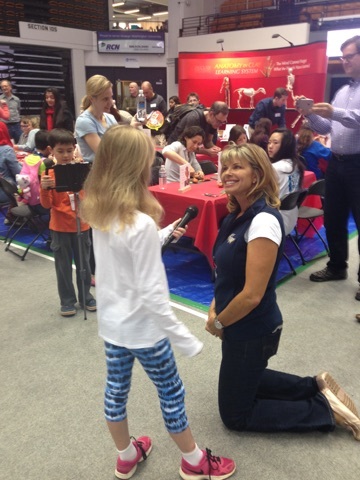 Ms. Morgridge being interviewed by a member of the press corps at Share Fair 2015. 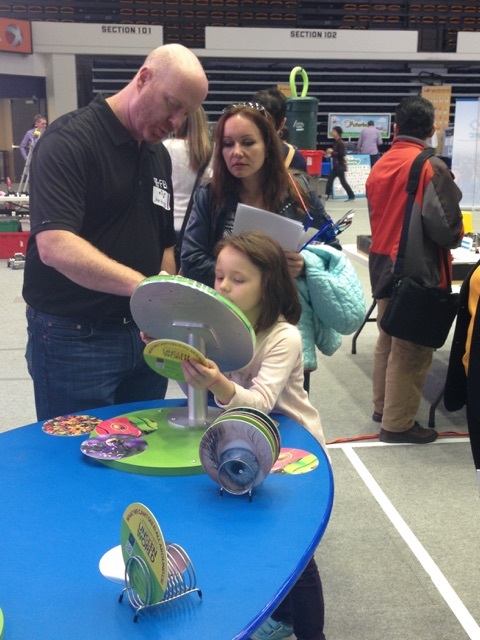 Hosted by the GSEHD in conjunction with the Morgridge Family Foundation and Smithsonian Science Education Center, Share Fair creates opportunities for young people to experience learning outside the classroom. 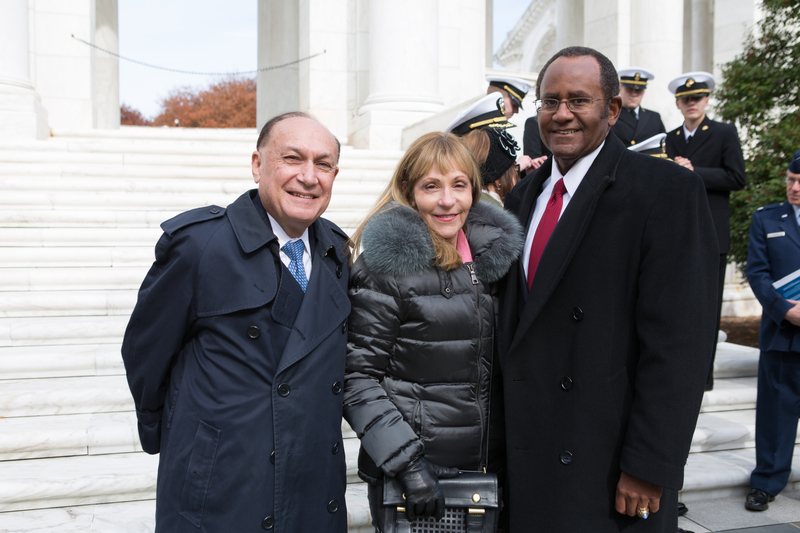 GW Trustee and U.S. Army veteran Mark Shenkman and his wife Roselind with retired Vice Admiral Mel Williams at a wreath laying at the Tomb of the Unknown Soldier at Arlington National Cemetery. 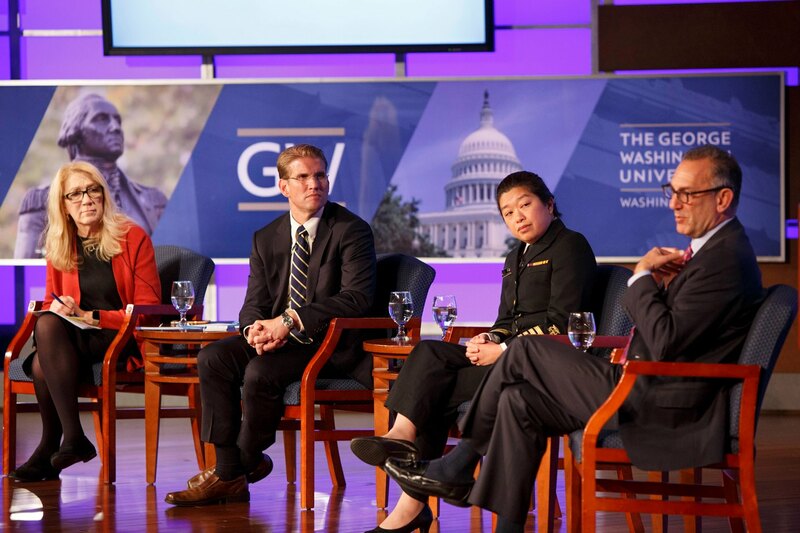 This ceremony, GW's first, was coordinated by the Office of Industry and Corporate Research in November 2013. 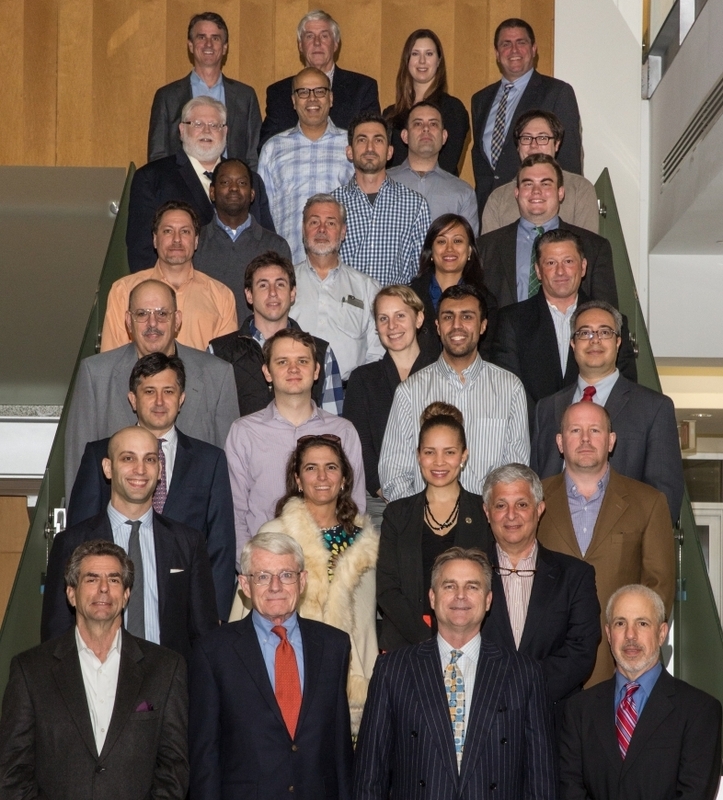 Employees of the various companies that fall under the Danaher family pose together at GW's Research Days Vendor Showcase. 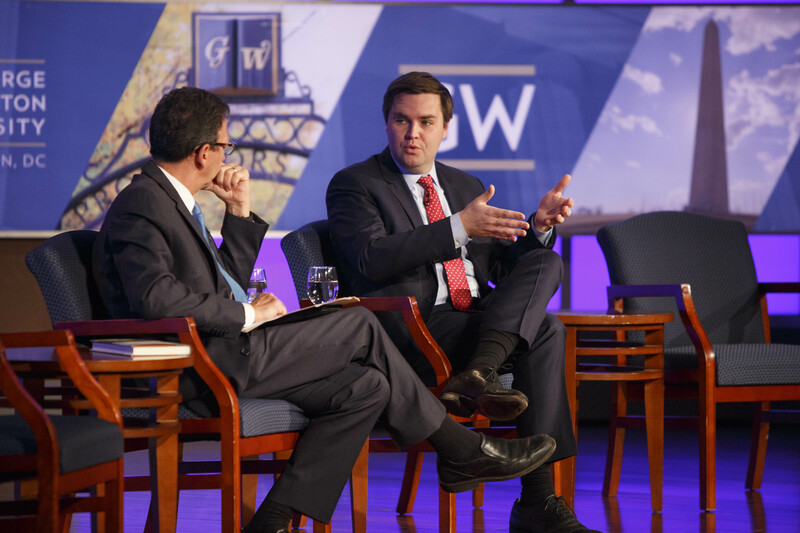 Frank Sesno and JD Vance discuss his book, "Hillbilly Elegy" during the opening segment of the GW/ICF Forum, Opioid Use: An Epidemic of Addiction, not Abuse"
Members of the Korean Technopark Association listen to a presentation from Jim Chung, director of GW's Office of Innovation and Entrepreneurship. 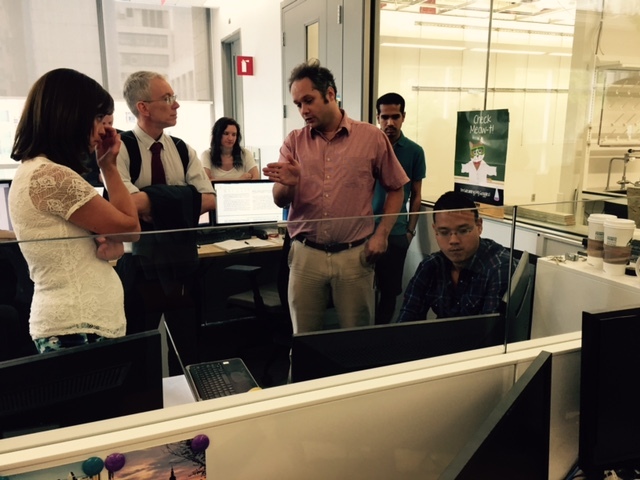 Visitors from Sandia National Labs in New Mexico listen to Prof. Phillipe Bardet explain his research. 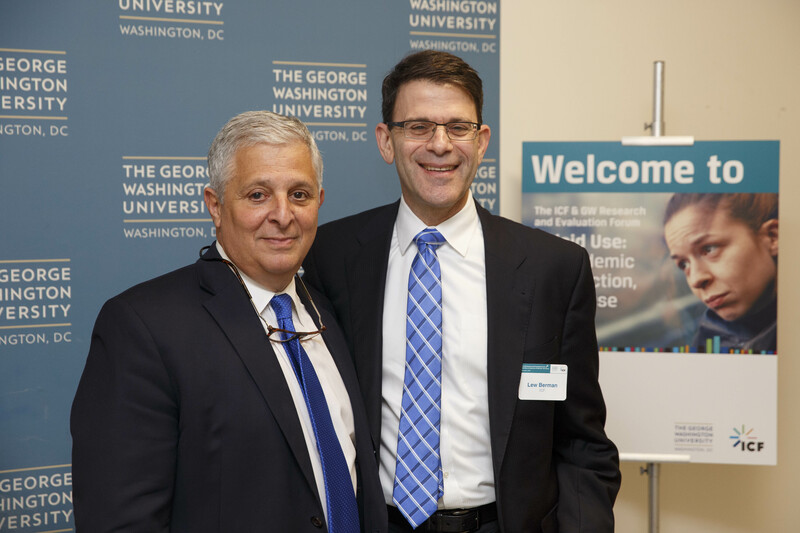 GW's AVP, Tom Russo (far right) of the Office of Industry and Corporate Research welcomed special guests, (from l to r), Frank Sesno, Dr. Grant Baldwin of the CDC, Captain Jen Fan of SAMSHA, Gary Mendell of Shatterproof, Sudhakar Kesavan, CEO of ICF, and Lew Berman, also of ICF. 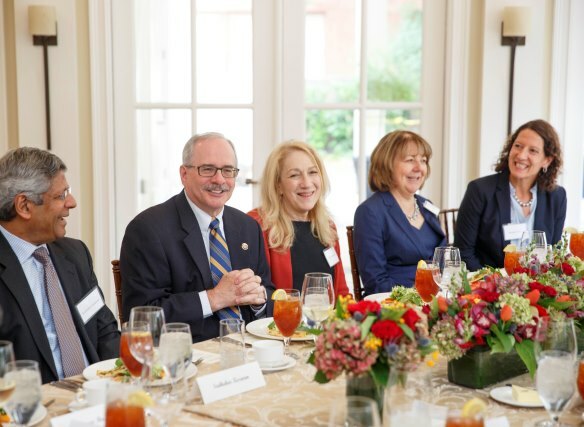 President LeBlanc shares a laugh with some of his guests, including Sudhakar Kesavan, CEO of ICF (to the left of President LeBlanc), to his right, Dean Lynn Goldman of GW's School of Public Health, Ellen Glover of ICF and Dr. Melissa Perry, Interim Research Dean of the Milken School of Public Health. 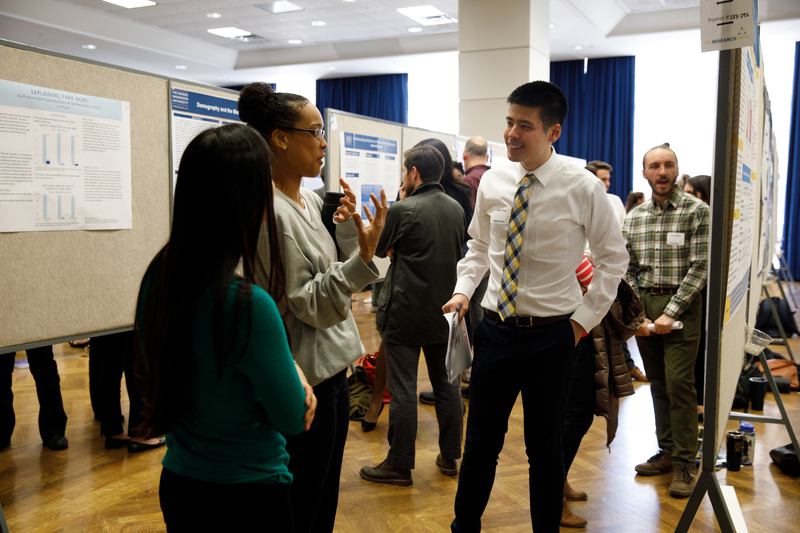 OVPR's Presidential Scholar, Alex Wang, presents his poster during April's 2018 Research Days.